This deeply effective and rejuvenating facial includes personalized skin analysis, cleaning, exfoliation, extractions, masque, hydrating and moisturizing treatment, and luxurious European facial massage with aromatherapy. Relax and renew your skin's natural radiance with this revitalizing facial that includes cleansing, exfoliation, masques, moisturizing treatment and rejuvenating European facial massage. 60 minutes. 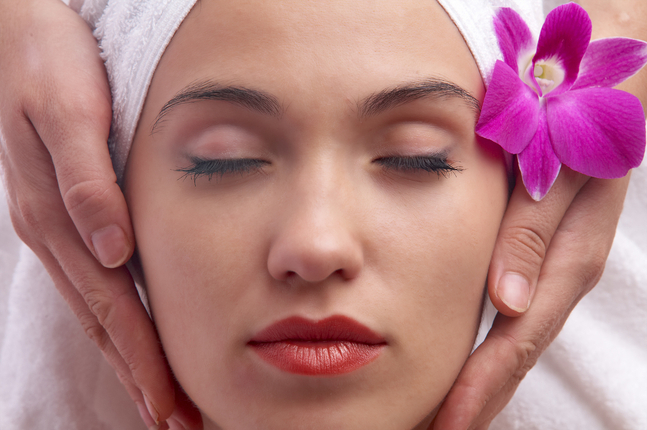 Refresh your skin with this "on the go" facial. Customized for your skin's needs with either a hydrating treatment or an acne treatment with cleansing, exfoliation, light neck and facial massage or masque and high-frequency blemish treatment. Targeting problematic break-out prone skin, this treatment includes deep cleansing, exfoliation, extractions, customized masques, and high-frequency treatment for blemishes. This relaxing treatment helps promote healthy skin and relieves irritations from shaving and exposure to harsh elements. Deep pore cleansing, exfoliation and hydrating treatments condition while a relaxing face, neck and shoulder massage revitalizes and tones the skin. Upper & lower lip wax including high frequency treatment to prevent post-wax breakout. Brow shape and wax, upper and lower lip wax including high-frequency treatment to prevent post-wax breakout. Full face wax, including brow shape and wax, and high frequency treatment for upper lip area to prevent post-wax breakout. Classic bikini wax removes hair from side of leg and groin area. The French bikini wax is approximately 1" to 1-1/2" narrower than the Classic Bikini. Also includes approximately 1" of hair removal from top of bikini area, if desired. Full-leg wax includes hair removal from mid-upper thigh, knee and lower leg area. Removal of leg hair from lower leg, including the knee area. Expert makeup application and instruction for a new look, or for that special event! Touch-Up makeup application after your facial.